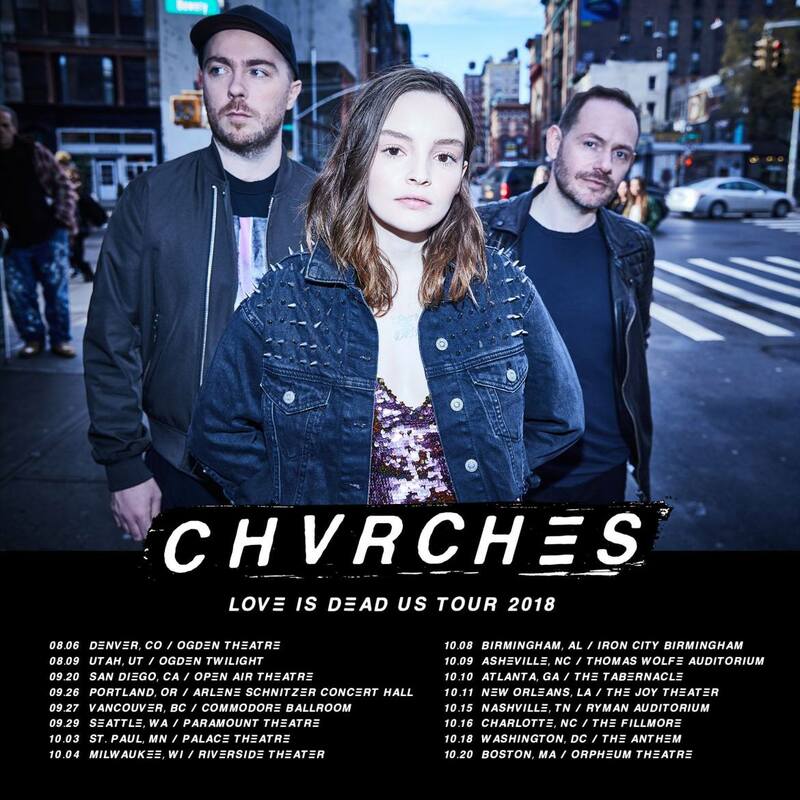 CHVRCHES have just announced their Love Is Dead U.S. Tour coming this year, and the Pacific Northwest has a number of opportunities to see them. Their tour stretches across North America with stops in Utah, California, and Washington DC, but the best news is that there will be three stops by us! The Scottish electro-pop outfit will be playing in Portland, Vancouver, and Seattle in support of their new album, Love Is Dead, coming out May 25th. In additional good news for festival goers, CHVRCHES will be playing a number of festivals before heading to the Arlene Schnitzer Concert Hall in Portland, OR; Commodore Ballroom in Vancouver, British Columbia; and the Paramount Theatre in Seattle, WA. Tickets for the tour go on sale Friday, April 27th at 10am! What show will you be going to?